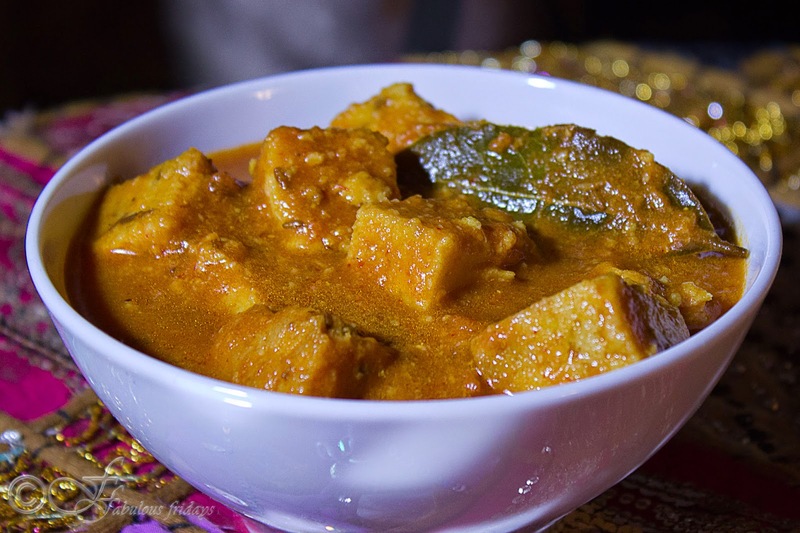 For all the Kadhi lovers out there, who are now Vegan, here is a keeper recipe. Try this non dairy version of kadhi and you will love it. If you aren't on a vegan diet, you could still try, its always great to have a variety in your meals. I have used thick coconut milk instead of yogurt and sourness comes from a combination of lime and tamarind juices. Use these as per your sour taste quotient. Also instead of making pakode I added boondi. This helps reduce the cooking time while not compromising on the taste. You can omit boondi and add pakode instead, just make sure to boil them in the kadhi for some time to get the soft melt in your mouth flavour. "OMG, I love Kadhi. It was one of my favorites dishes. I miss it so much! This, and sarson ka saag and makki di roti. I wonder if they can be "veganized". Ahhh... memories of yore. Those Sunday afternoons, sitting in the veranda bathed in the winter sun, piping hot chai, and endless array of savory delicacies..... glorious bygone days....."
I HAD to create a vegan version after reading this. So this one is for you Deepak Ghosh. Handful fresh coriander leaves finely chopped. In a bowl mix together coconut milk and besan till smooth and free of lumps,in this add water coriander powder,ginger paste, green chilies, turmeric powder, chilli powder and salt. Mix well and keep aside. In a large pan heat oil and add the panchporan. Let them crackle for a few seconds. Add the coconut milk and besan mixture and bring to a boil. Stir a few times to avoid any burning. When it starts to boil, reduce heat to medium and simmer covered for 10 minutes. Now add the lime juice and tamarind juice. Start by adding 1 tbsp each, taste and add more if required. For tempering heat oil and add the grated garlic. Cook for a few seconds till they start to turn light brown. At this point add the red chili flakes and remove from heat. Just before serving bring the kadhi to boil, add the boondi and stir. Remove from heat and temper with the garlic chili tempering. 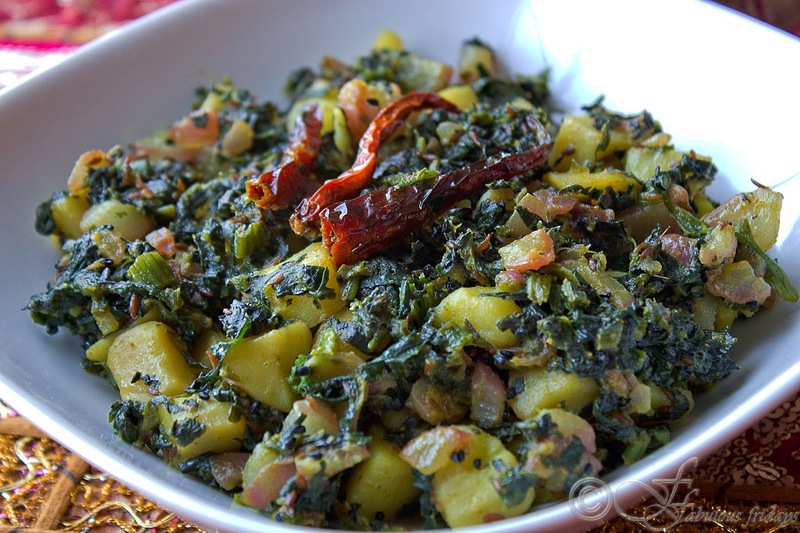 Stir in some fresh coriander and serve with steamed rice and a green leafy vegetable. Finger licking good. Tonight's dinner is a simple hearty meal from Punjab. Earthy rustic Tandoori roti paired with creamy, buttery dal makhani (literally means legumes cooked in butter) and bold achari (pickle) flavored karela (bitter melon) with a side of raw onion rings and crunchy hot green chilies. A delightful meal with several textures and flavors. 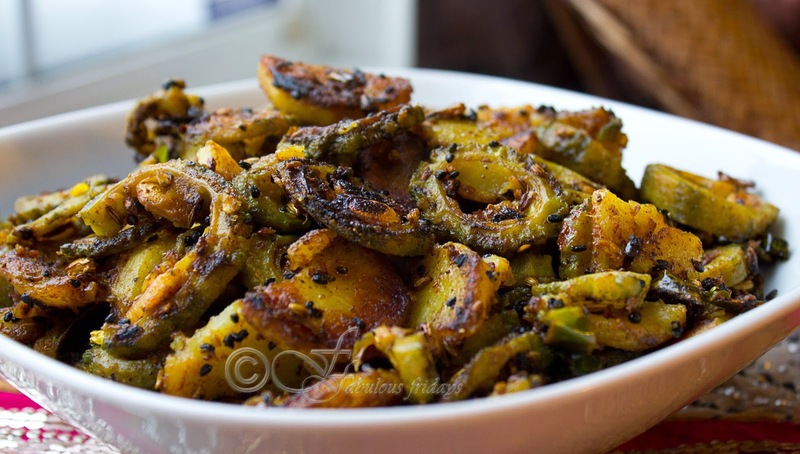 A must try combination for all karela lovers. Peel the potatoes and karelas. Slice them all thinly into rings, about 1/4 inch thick. Heat oil in a pan and add the panchporan. Let the seeds crackle for a few seconds. Add the veggies and all the dry powdered masalas except amchoor. Mix well. Cover and simmer. Check after 3-4 minutes. Stir to move around the veggies. Cover again and check after another 5 minutes. The potato and karela rings should be cooked through. Increase heat to max and add the amchoor now. Saute on high to crisp up the veggies a bit. Serve immediately with roti. Clean wash and soak the dals together overnight in 3 cups of water. Put these with all the water in a pressure cooker. Add salt, ginger, garlic, ghee, turmeric powder, red chili powder, green chilies, coriander powder. Pressure cook on high till the first whistle, simmer and cook for 35-40 minutes. This will allow the dals to soften well. Remove from heat and allow the pressure to drop by itself. Open the lid and cook further on low heat, mashing with the spoon till dal blends very well. If it is too thick then add some water to adjust the consistency. While the dal is simmering, heat 1 tsp butter in a pan and add tomatoes. Cook stirring for a few minutes. Add the yogurt and cook further till oil separated from the sides. Add this to the simmering dal and cook till well blended. Heat the remaining 1 tsp butter and add the tempering spices. Let them crackle for 2-3 minutes before adding them to the dal. Serve hot garnished with coriander leaves. Tastes excellent with crisp rustic buttered tandoori roti and some raw onion slices and green chilies. In a saucepan bring the first six ingredients to boil and simmer uncovered for 8-10 minutes till the cranberries plump up, mixture thickens up and apples cook a bit. Keep aside to cool. Melt butter in a dish and grease a pie plate. Preheat oven to 350 F.
Start by taking one pastry sheet on your working surface and brush with butter. Put another sheet on top and brush again with butter. Repeat with two more sheets. Spread half the apple mixture in the long edge in a line and start rolling slowly to form a log. Tuck the two ends to keep filling from coming out. Roll slowly and carefully put in the pie plate along the edges. 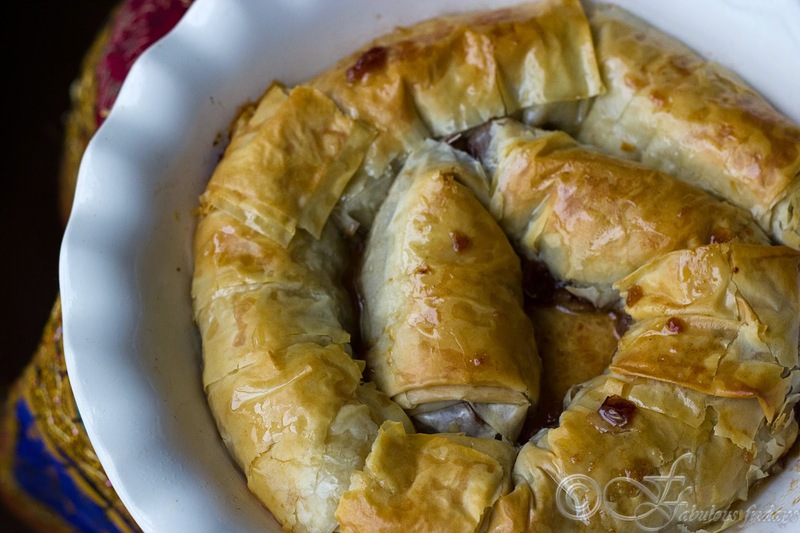 Don't worry about the breakage, you can fix it by adding additional pastry sheet pieces. Repeat above process with the rest of the sheets and apple filling. Brush the top with butter and bake at 350 F for 30-35 minutes till the top is golden. Remove from heat and pour the maples syrup on top of the hot pie. Sprinkle with nuts (which I forgot to do). Let cool before slicing and enjoying the pie. Soak chana dal overnight in water. Drain water and grind them with green chilies and ginger and salt into a fine paste using as little water as possible. Heat oil in a pan(preferably non stick) and temper with hing, cumin seeds. 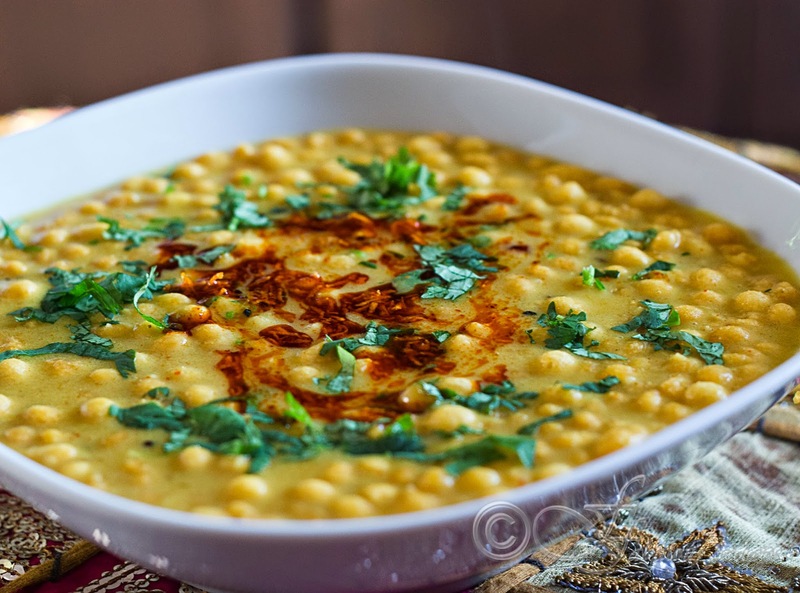 Add the ground chana dal and sugar and cook stirring continuously to avoid burning. Cook until the mix comes off the sides clean. 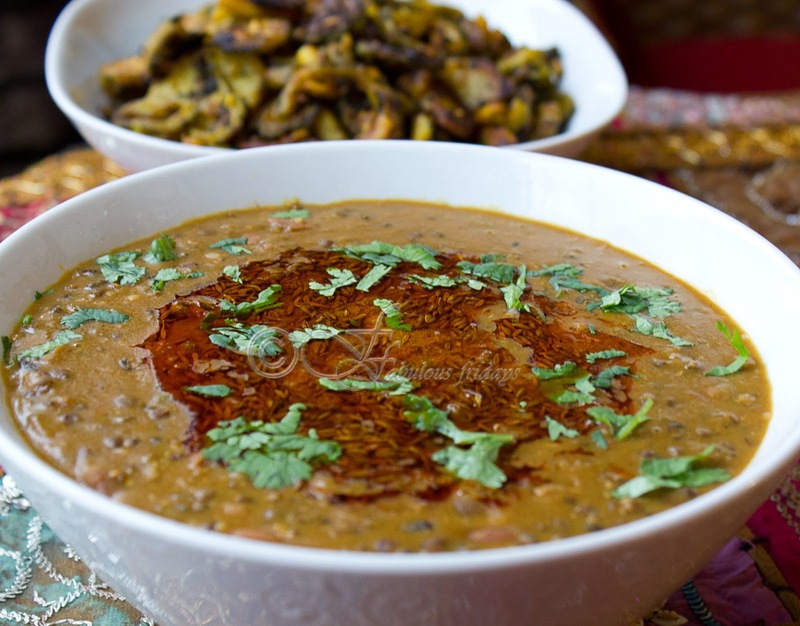 The dal should be cooked such that it is moist and soft but not runny or hard. This takes about 3-4 minutes. Transfer this mixture to a greased flat container and smooth the top with the back of the spoon or with greased hands. Work fast as the mixture starts to set as it cools. Keep the height about 1/2 inch. Cover and keep aside to cool completely. When cool cut into small squares or diamonds. Heat oil for frying in a pan to medium high. Slide lentil cakes gently into the hot oil and deep fry in batches till golden. Do not over fry otherwise they will not absorb the gravy. Heat oil in a thick bottomed pan and fry potato till golden, remove and keep aside. In the same pan with left over oil add bay leaves, cumin seeds and a pinch of hing. Add the pureed tomato. Saute till tomato leaves oil at the sides of the pan. In the yogurt add all the dry masalas and salt to make a paste. Add this paste to the tomatoes and fry at medium heat for 3-4 minutes. Now add the potatoes and about a cups and half of water. Cover and cook till potatoes are done. 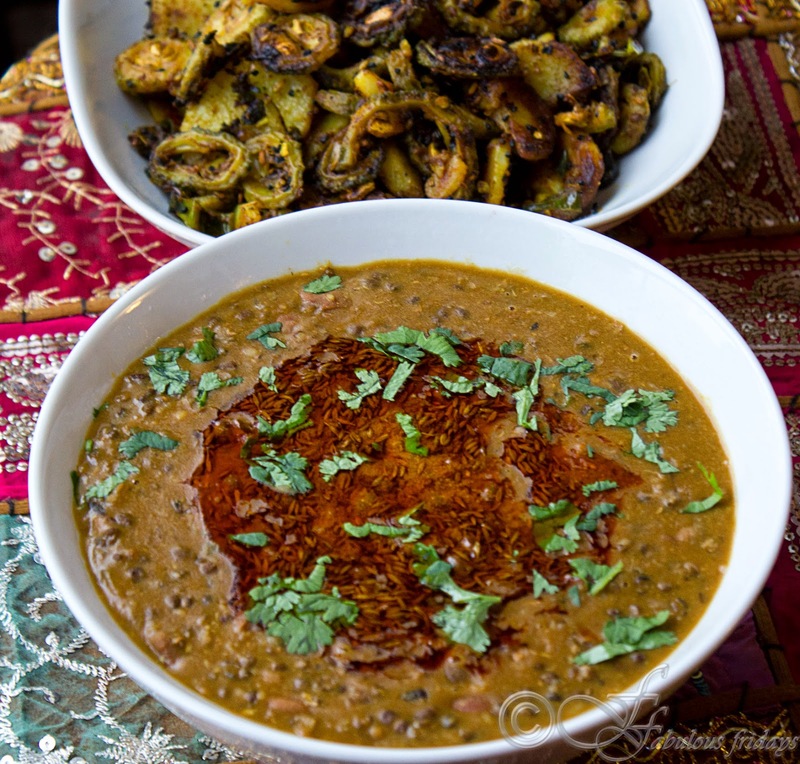 Now gently slide in the pieces of dhokas or the fried lentil cakes. Simmer for couple of minutes to let the dhokas soak up the gravy. If your dhokas are cracking and are too soft, do not add them to the gravy. You are better off placing them on the serving dish and pouring the gravy on top. Let them soak the flavor for a few minutes before serving. Best served with hot white rice, but tastes great with roti too. 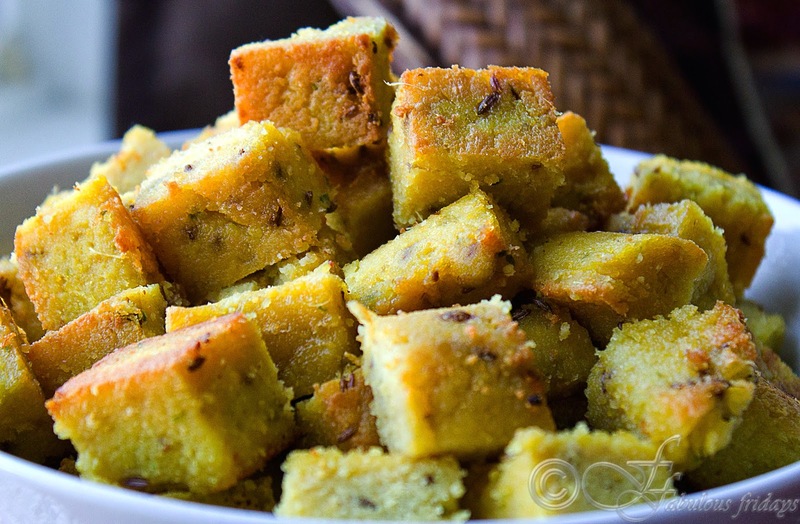 This traditional Bengali dish is eaten as a second course in Bengali lunch. 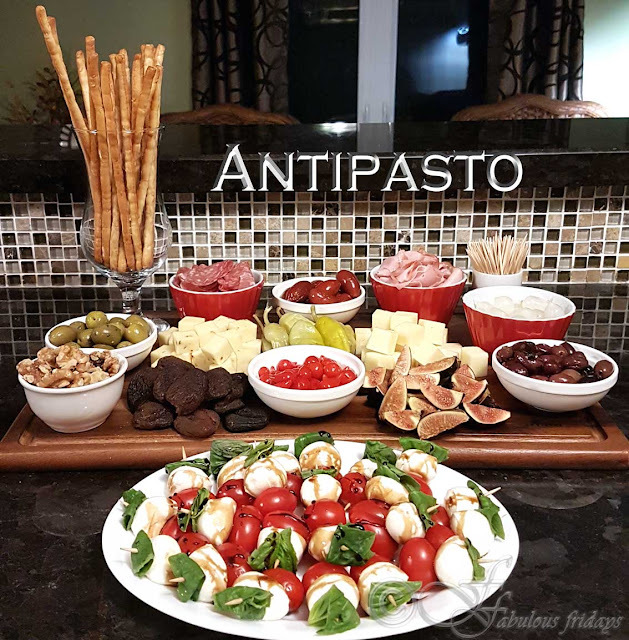 I have used the small red radishes as the long white ones were not available with the leaves. Use the white ones if available. I also added one potato. Wash the radish leaves and pat dry. Heat oil in a pan. Add nigella and cumin seeds in it. When it starts to splutter, add whole dry red chili. Saute for 40 seconds. Add chopped radish, radish leaves and potato, turmeric, coriander and chili powder and salt in it. Stir to mix. Cover and cook on medium for 12-15 minutes. Stir occasionally. When potatoes are done, increase the heat to dry up all the water. Serve hot. 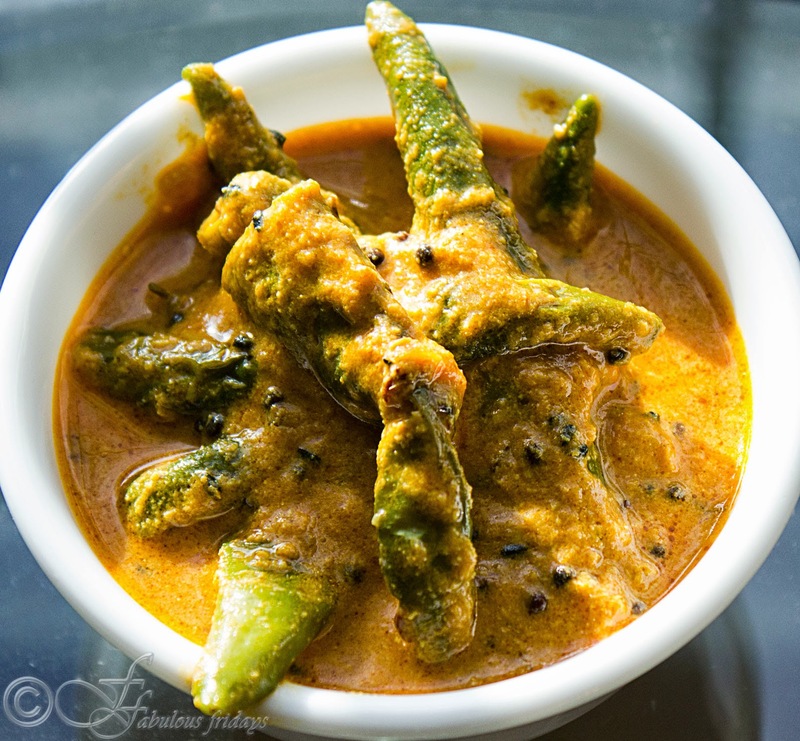 Mirchi ka salan or curried chilies is a traditional Hydrabadi delicacy, which is a must make side dish for the famous Hydrabadi Biryani. 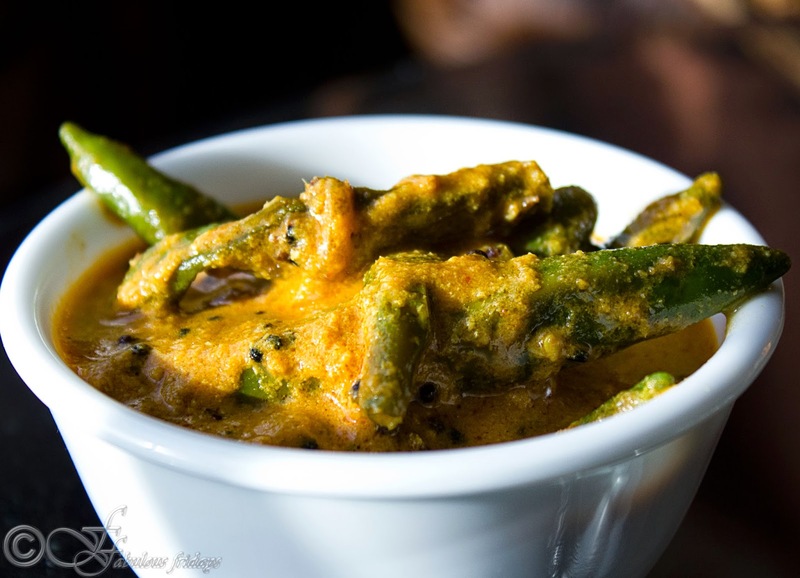 Chilies are cooked in a gravy made of peanuts, coconut and sesame seeds. These give it the silken consistency and an awesome taste. If you want the dish to be mildly hot then remove the seeds of the chilies before cooking. 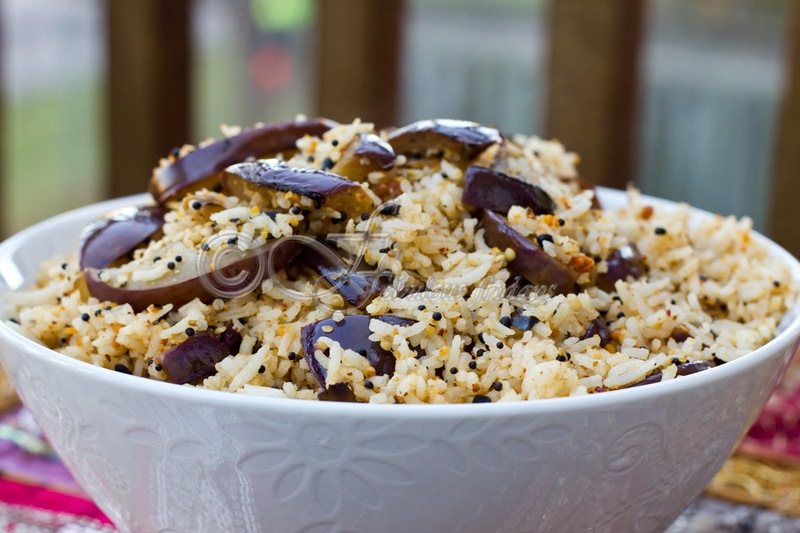 I often make this with pulao or tahiri. A must try. Heat oil in the same pan and add the prepared green chilies. Saute these till lightly fried. Keep aside. 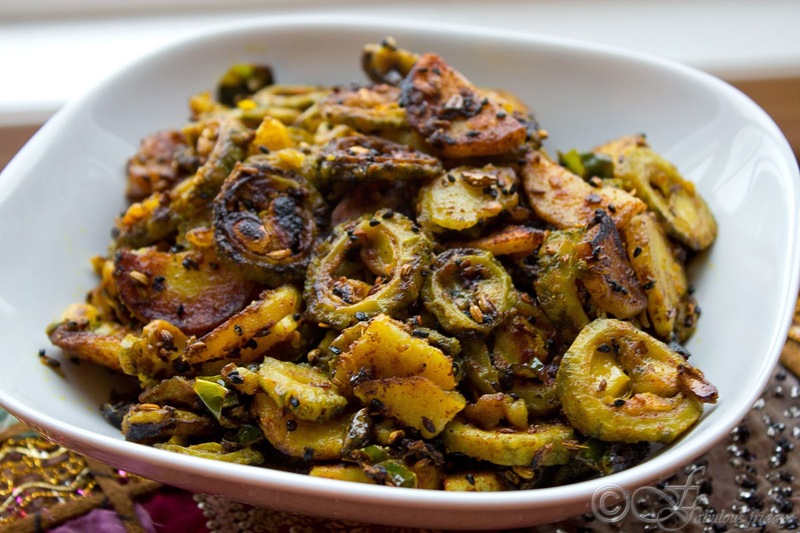 In the same pan and remaining oil add mustard seeds, when mustard seeds splutter add cumin seeds, curry leaves, kalonji, add sliced onions. Cook till onions are golden in color. Then add ginger garlic paste and cook this mixture till raw flavor is gone. Add turmeric, red chili powder, coriander powder and salt. Add the prepared sesame seed paste, 1 1/4 cups of water and mix it to form a thin gravy. Bring to boil, simmer and cook covered on a low flame for 20 minutes. After 20 minutes the gravy should have thickened a bit. Add yogurt and cook on high for another 5-7 minutes till you see oil separating from the sides of the pan. Add fried chilies, simmer and cover for another 5 minutes. Garnish with coriander leaves. 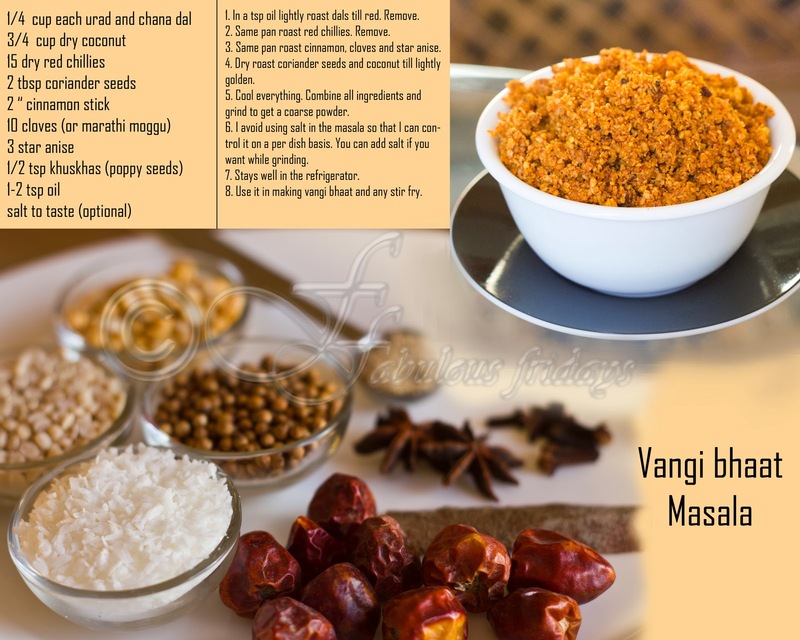 Serve this hot with any type of biryani or pulao. In a tsp oil lightly roast dals till red. Remove. In the same pan roast red chilies. remove. In the same pan roast cinnamon, cloves and star anise. Dry roast coriander seeds and coconut till lightly golden. Cool everything. Combine all ingredients and grind to get a coarse powder. I avoid using salt so that I can control it on a per dish basis. You can add salt if you want while grinding. Stays well in the refrigerator. Use it to make vangi bhaat and any stir fry.